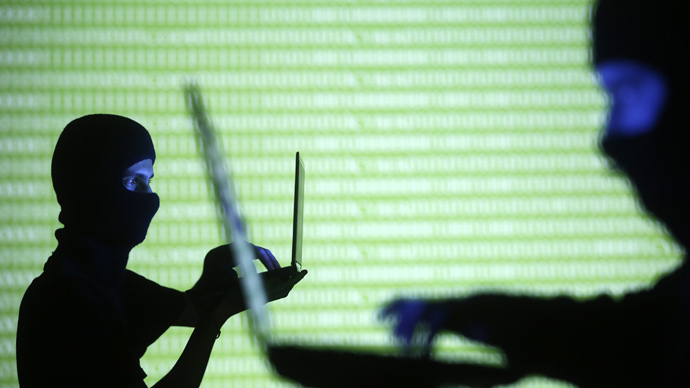 The Ukrainian hacktivist group CyberBerkut has blocked two German government sites. They are angry that Ukraine's Prime Minister Arseny Yatsenyuk plans to use billions from the EU to fund war in the east of the country rather than rebuild it. "Our service provider's data center is under a severe attack that has apparently been caused by a variety of external systems," he added. The websites have been down and inaccessible since 09.00 GMT. It is thought to be the first successful prolonged attack on the government's websites, which intelligence agency officials say face about 3,000 such hacker assaults daily. The head of the BfV domestic intelligence agency said recently about five of the daily attacks came from foreign intelligence agencies, Reuters reports. The websites, which include general information, speeches and podcasts from the chancellor and general government information, are used by journalists and the public. It is believed they targeted German governmental websites as Yatsenyuk is set to meet German Chancellor Angela Merkel on January 8 in Berlin. They are expected to discuss relations with Russia as well as internal developments within Ukraine. CyberBerkut say that Prime Minister Yatsenyuk intends to use billions of dollars of aid from the European Union and International Monetary Fund to continue to wage war in the east of the country, which has already killed thousands of people. The Ukrainian government intends to review its national budget by February 15. “That's why we appeal to all people and the government of Germany to stop financial and political support of the criminal regime in Kiev, which unleashed a bloody civil war,” the organization said on its website. “This war has already taken thousands of lives, and Yatsenyuk will kill more for your money!” they added. Pro-Russian Cyber Berkut #hacker group sent TOL a message claiming to take down sites of German Chancellor and the Bundestag.They seem down. In November 2014, CyberBerkut uncovered documents showing Kiev's detailed demands for money from the US military, and Washington agreeing to give them support. According to the hacktivists, who made the documents public on Tuesday, the Ukrainian military has recently been asking for and been promised financial support from the United States, worth hundreds of thousands of dollars. The hackers claimed they obtained the confidential State Department documents by breaking into a mobile device belonging to one of the American delegation's members, who had traveled to Ukraine together with US Vice President Joe Biden. The US politician visited Kiev on November 20-21. In March 2014, the group claimed responsibility for taking down three NATO websites in a series of DDoS attacks. The group criticized NATO for stirring up turmoil in Ukraine and helping the “Kiev junta” suppress freedom of speech. CyberBerkut claims it brought down NATO’s main website (nato.int), as well as the sites of the alliance’s cyber defense center (ccdcoe.org) and NATO's Parliamentary Assembly (nato-pa.int).